We all have our favourite beverages, but it's not always best for us to be consuming them all the time. Drink flavoured e-juices can help with this, allowing you to enjoy the taste you crave in vape form. If you need that sweet fix but would rather forego the rotted teeth, 88Vape Red Cola E-Liquid can help you out. 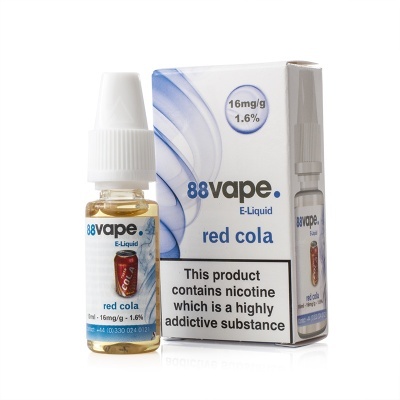 Red Cola E-Juice is supplied in 10ml bottles and has two different strengths available for your preference. More fruity than traditional cola, this Red Cola e-juice is packed full of sweet flavours – it's a great refresher at any time of day. >Red Cola E-Liquid has a combination of 20/80 (VG/PG) for a sweet vape with a powerful throat hit. 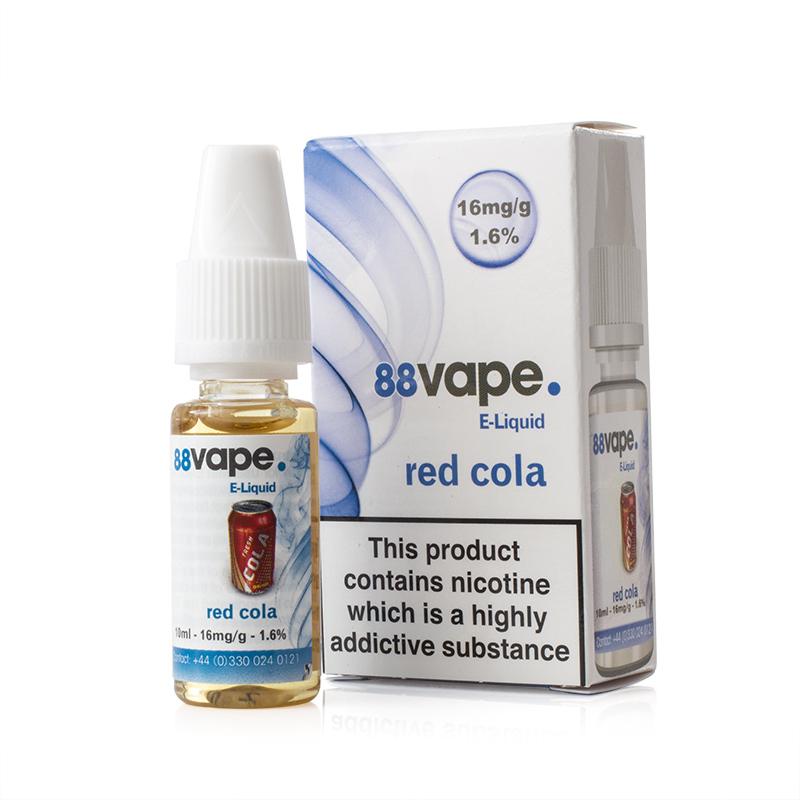 88Vape Red Cola is supplied in 10ml bottles only.